Vendor booth space is still available. ​ door prizes and Gift Bags! 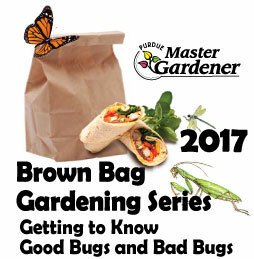 ​You will learn how to identify the bugs and spiders in your garden and how to sort them into one of these three categories according to a gardener's viewpoint. You will learn strategies for getting rid of the harmful ones and encouraging the beneficial ones. You will learn some basics on how to do this without harming the planet, people, pets, and taking out the good guys too. Only 10% of bugs are harmful. All of the rest are beneficial or benign. Isn't that amazing? So it pays to learn to be a good sleuth of what is living in your garden.